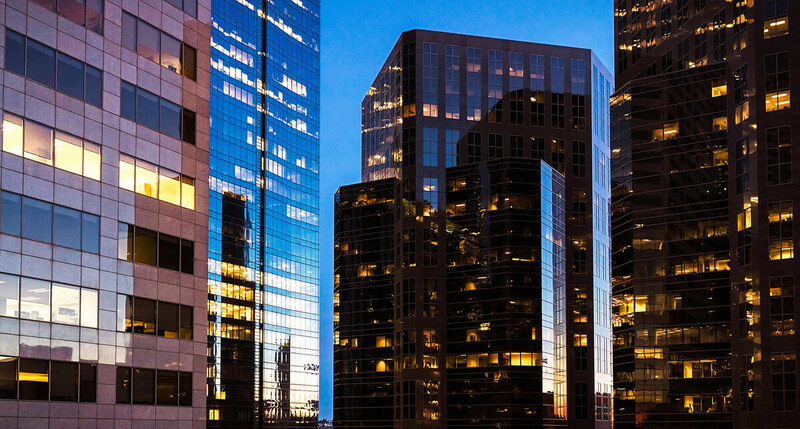 Assets America® provides office building loans and office building financing for a variety of property types, starting with Class A and Class B urban and suburban office buildings, low-rise, mid-rise and high-rise. Properties include single-tenant and multi-tenant office buildings as well as owner-occupied (owner-user) office buildings. 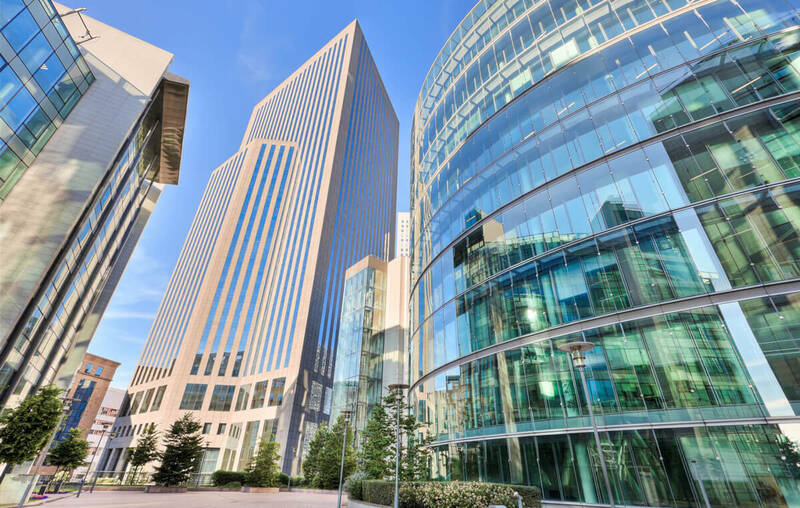 We also arrange commercial office building loans for mixed use office buildings, office parks, industrial research and development parks, and professional/medical offices. The American economy’s rebound following the events of 2008 has led to an increasing demand for office space, and therefore for office building financing. Expanding Requirements for Work Space: A critical stage in the growth of many companies is the decision to own and occupy their own office building. We invite growing businesses to turn to Assets America® for office building purchases, office building loans, including office building construction loans and office building acquisition loans, for both tenants and for owner occupied office products. Assets America® works to ensure the availability of short-term and long-term capital on the best possible terms. Assets America® also refinances existing office buildings that require upgrades or rehabilitation. Commercial Use: We also provide investment office building loans for companies looking to build or acquire tenant-occupied office buildings, as well as office condo properties and fix and flip office buildings, in primary and secondary market locations. Office buildings in strategic locations are a reliable source of lease income to investors. In some cases, a company will build or acquire an office building, take some of the space for its own use and lease out the rest. In addition, investors often seek mixed-use office buildings that combine office space with retail and/or residential space. The Small Business Administration offers SBA 7(a) and SBA 504 loan programs for commercial real estate loans, including office building loans. SBA loans typically have the lowest costs, with relatively small down payments and fixed interest rates. SBA 7a typically guarantees bank loans up to 90%, while the 504 program combines 50% bank and 50% government sourcing. Traditional office building loans are available from regional and national banks if the borrower has excellent credit. Private lenders, including private investment funds, credit union syndicates, life insurers and CMBS offer more flexible terms, easier access and less paperwork, albeit at higher interest rates. They are often the source of bridge loans, which can be used in lieu of hard-to-access construction loans to develop or rehab an office building. Yield Maintenance: This is a prepayment premium allowing investors to receive the same yield as they would have had the borrower not prepaid the loan. Step-Down Prepayment Penalty: A prepayment penalty that steps-down (decreases) over time. Defeasance: The substitution of another cash-flowing asset, such as T-Bonds, for the original loan collateral, i.e. the office building. No Prepayment Penalty: There are office building loans that have no prepayment penalty as well. Although each office building project is unique, all share a number of characteristics that help define the risks and rewards for both office building lenders and developers. The following are the ones that are fundamental to the evaluation of a request for office building financing. Loan to Value Ratio (“LTV”): 70% to 85% for construction office building loans, and up to 95% on acquisition office building loans. Debt Service Coverage (“DSC”): 1.25x or higher, depending on the property’s physical condition, age, tenant mix and comparable properties. Term: Construction office building loans up to 18 months and office building loans up to 3 years on bridge loans, 3 years on office building mini-perm loans, and 5 to 30 years on office building loans for permanent financing. Amortization: Up to 30 years on office building take-out loans (permanent loans). Construction, acquisition, refinancing and bridge loans are interest-only. These short-term loans are then replaced by mini-perm loans and take-out loans after the rent roll is stabilized between 90% to 95% or hopefully higher. Leases: Triple-net (NNN) leasing is preferred by the owner (the landlord and the borrower) of the subject property, because in NNN leasing, it is the lessee (the tenant) that takes on the responsibility for property taxes, insurance and maintenance. The resulting rental rates can be lower, which spurs higher occupancy rates. A special class of office real estate is the medical office building (see below picture), which can be a stand-alone building or it can participate in an office medical park. Medical office buildings might contain a variety of offices for physicians, specialists, labs and clinics. Medical office building projects are highly desirable, as they usually feature high occupancy rates and long-term leases. Nonetheless, the need for new medical office buildings continues to rise because of population shifts, increasing population and of course, obsolescence of older office buildings. Medical office building loans have some unique and special features. For example, the DSCR typically starts at 1.20, slightly lower than regular office buildings. Another feature of medical office building loans is that we can loan up 90% loan to value, higher than many regular office building loans. The slightly relaxed financing requirements for medical office building loans reflects the stability of that market segment, with high occupancy rates of tenants who often remain as loyal tenants for decades. The advent of the Affordable Care Act also created more demand by insured individuals for medical care that has translated into a higher level of medical office building construction, though, it does seem apparent that the Act is destined to be legislated out of existence. Frequently, medical office buildings are clustered into medical parks, centered by a hospital, emergency room or acute-care facility. Medical office building construction must be suited to the needs of medical practices, which often include a preference for high energy efficiency, modern and attractive layouts, and provisions for the latest technology. Frequently, the lab requirements of multiple practices are handled by one major lab presence which services the entire medical park…this saves resources and most importantly, it can save substantial money. Office medical park loans resemble that used for master planned communities loans, in that construction loan facilities are revolving sources of funds that pay for the construction of a building and then paid off by mini-perm loans. Construction loans are typically interest only. The mini-perm payoff replenishes the construction funding for the next set of buildings. Eventually, the mini-perm loans are taken out by the permanent financing with amortization periods of up to 30 years. Many of our customers turn to us for commercial mortgage bridge loans to finance the construction or rehabilitation of office buildings. While commercial mortgage bridge loans have higher interest rates than do construction loans from banks, they are much easier to access. If your credit profile doesn’t meet bank requirements, don’t fear – we can arrange an interest-only, commercial bridge loan for up to 18 months or longer. We can then arrange mini-perm loans for up to three years, followed by a take-out loan (a permanent loan) that can run up to 30 years, although most are paid down much faster. Lee & Associates published an article on 2018 Trends in Office Construction. The primary databases to search for office buildings for sale are LoopNet and Ten-X Commercial, but the best way to search for office buildings for sale in your area is to find a regional or citywide database via Google. The infrastructure certification systems mentioned in the glossary—Fitwel, WELL Building Standard, and BREEAM—have excellent websites with plenty of resources for those interested in the healthy building movement. If you are interested in arranging financing for high-rise office building loans, medical office building loans or any of the myriad of office building loans we offer, then we urge you to contact Assets America® today for an in-depth discussion. We are confident that we can obtain excellent terms on an office building loan that fits your requirements like a glove, no matter how detailed and complex your request. Please call (206) 622-3000!